You can always fill in a pattern of Penrose kites and darts with smaller kites and darts. Penrose experimented witg grouping and division of kites and darts. 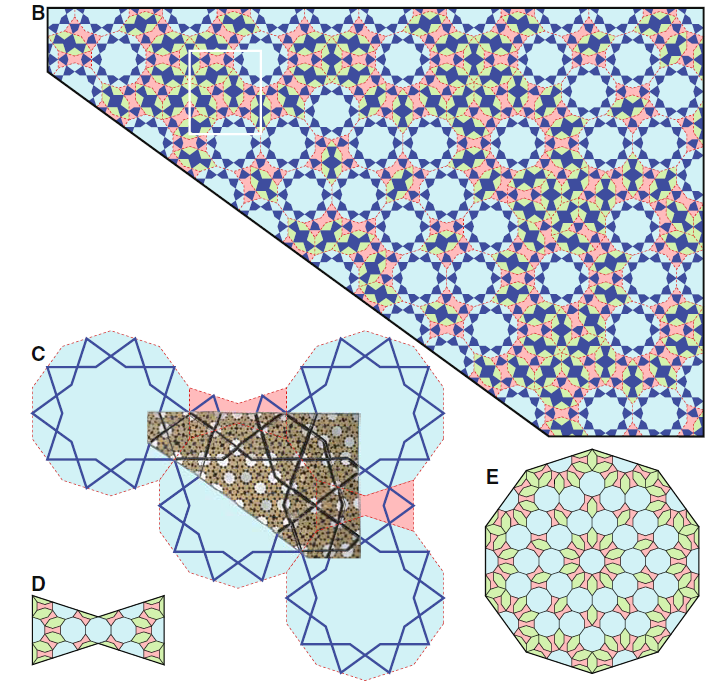 This principle also yields for girih tiles. In the mausoleum of Maragha we see that the tiles beyond the clear zigzagging are divided themselves with lines slightly sticking out. This pattern too can be covered with a smaller pattern of girih tiles and match with a Penrose tiling. We can clearly see the Penrose similarity on a multiple scale in the Darb-e Imam shrine in Isfahan (1453). C: Picture A fits in a giri pattern of 5 blue decagons and 2 pink bowties. 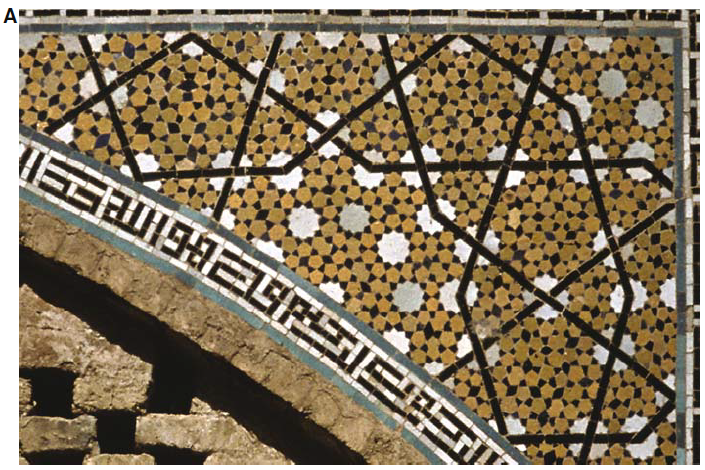 The black lines in the pattern coincide with the blue zigzagging lines on the girih tiles. D and E: As in Penrose darts and kites you can draw a smaller pattern of girih tiles in each tile. D shows the subdivision of a bowtie, E the subdivision of a decagon. B: Applying these subdivisions to the pattern, we get a pattern that fits the smaller white, brown and black forms in it.